We are just about 46 days from our next readathon and your team is hard at work preparing for another fantastic event. 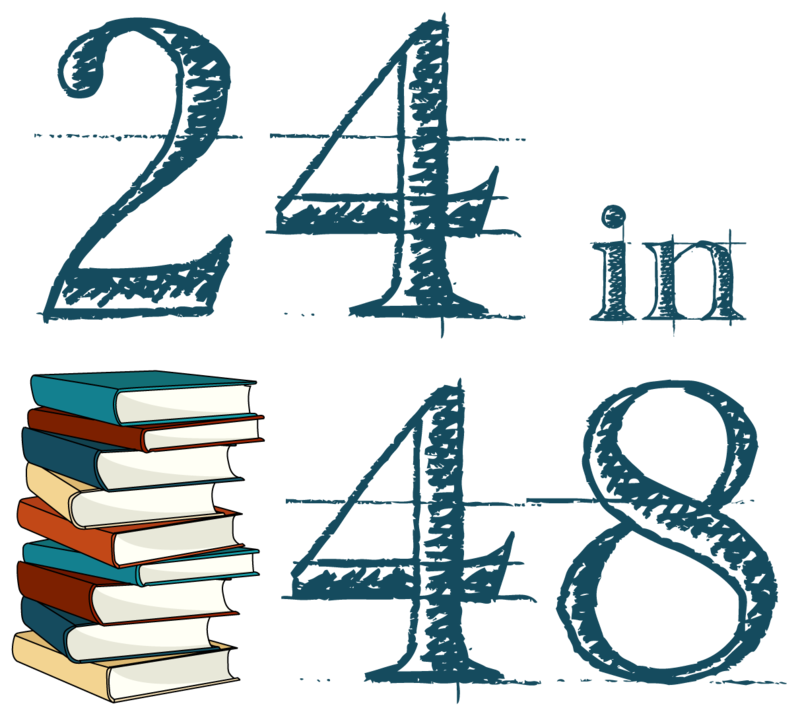 This past July, we had a record turnout for #24in48. Close to 1,400 of you signed up and read for a full weekend. You came from all over the world—from Australia to Japan, Finland to Brazil, the UK and the US—and when all was said and done, we shared a lot of great experiences and received a lot of feedback on ways to make this little readathon better. One way we’ve been able to add more prizes for non-US readers is by funding Book Depository and Amazon gift cards, either ourselves or through the generous (though rare) contributions of readathon participants. We’ve been brainstorming ways to expand the inclusivity of the event on an international level. Now that the need (and expense) is greater, we need some help. To this end, a PayPal “Donate” button has been added at the bottom of this update and on the site’s sidebar to accept monetary donations.100% of the funds donated (minus PayPal’s standard fees) will go to creating and purchasing international prizes. Together, we can create a readathon that embodies the increasingly global community we have all worked to grow over the last five years. Additionally, if you’re interested in donating actual prizes—be it bookmarks from your Etsy store or new books to be sent to a winner in your own country—please send us an email. I’m so proud to be a part of this fantastic community, and I know each of you are too. Thanks in advance for your support. This a fantastic idea and I’m super excited for the next round! I’m not sure if I’ll be able to donate, but I’ll see what I can do.